Parents sometimes ask whether it would be helpful if they brought an attorney to their IEP meeting. The U.S. Department of Education (DOE) addressed this question last year in an advisory letter to the Illinois State Board of Education, which had sought guidance on the respective rights of school districts and families. The DOE noted that parents have the right to bring anyone who has knowledge or special expertise regarding their child to the IEP meeting and that it is the judgment of the parents whether any particular individual falls within that definition. The DOE further noted that while the school district must give parents advance notice as to who will be attending the IEP meeting, parents do not have to advise the district in advance if they are bringing someone with them, including an attorney. If a parent does bring an attorney to the IEP meeting, the district may seek to adjourn the meeting, but only if the parent agrees and the delay would not delay or deny the child from receiving an appropriate education. 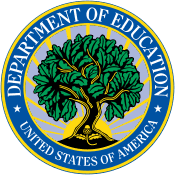 The DOE notes, that "... in the spirit of cooperation and working together as partners in the child’s education, a parent should provide advance notice to the [district] if he or she intends to bring an attorney to the IEP meeting. However, there is nothing in the IDEA or its implementing regulations that would permit the [district] to conduct the IEP meeting on the condition that the parent’s attorney not participate, and to do so would interfere with the parent’s rights..."
They go on to state: "Finally, we would like to note that, even if an attorney possessed knowledge or special expertise regarding the child, an attorney’s presence could have the potential for creating an adversarial atmosphere that would not necessarily be in the best interest of the child. Therefore, [it is our] longstanding position is that the attendance of attorneys at IEP meetings should be strongly discouraged." While there may be substantive reasons not to bring an attorney to the IEP meeting, we always suggest that parents try not to attend meetings on their own and that they should bring someone with them for support and to take notes. That can be the child's other parent, a friend, or an advocate. For other tips, take a look at our posts on this topic. Professor Jon Star of the Harvard Graduate School of Education, a former math teacher, has been working to make algebra instruction more effective. We know that algebra is a tough subject for many students and have written in the past about ways to make algebra more readily understood by middle and high school math students. Professor Star’s project, as described in Ed. magazine and online in the Graduate School Newsletter, has two aspects: first, he is working with teacher volunteers to show them that providing more than one way to solve a problem is more effective than insisting that problems be solved in one particular way. Second, he is having math teachers include more discussion in their classrooms. The idea is not to just focus on getting the correct answer, but to discuss how that answer was found or why someone took a particular approach to solving a problem. Working with colleagues, Star has created a set of curriculum materials designed for middle and high school students, which incorporates these approaches to teaching algebra. The materials are available at no cost for teachers to use in addition to their regular modes of instruction. And the U.S. Department of Education’s Institute of Education Sciences has included this approach in two new publications, a problem-solving guide for grades 4-8 and an algebra practice guide for middle and high school students. You see it all the time. Little children with their parents' phone, iPad, or other handheld device. The temptation for parents is understandable; keeping a young child occupied can provide the distraction to enable a parent to complete an errand, do a task, or just catch their breath. It's an understandable impulse, and one we have looked at previously. But it's not a benign activity, and new research shows just how damaging handheld screen time can be to the expressive language skills of very young children. The study looked at roughly 1000 children in the Toronto area, ranging from six months to two years of age. By the time they were 18 months old, their parents reported that 20 percent of the children had average daily handheld screen time use of close to 30 minutes. Based on a screening tool for expressive language delays, the researchers found a significant correlation between increased screen time and delays in expressive language. For every half hour increase in screen time with a handheld device, there was a 49 percent increased risk of expressive language delays. There did not seem to be delays in other forms of communication, such as body language or gestures. This study is preliminary and the researchers emphasize that more investigation is needed. But the results are of sufficient concern that they should give pause to parents who are inclined to hand over their phones or tablets on a regular basis to entertain a fussy baby.